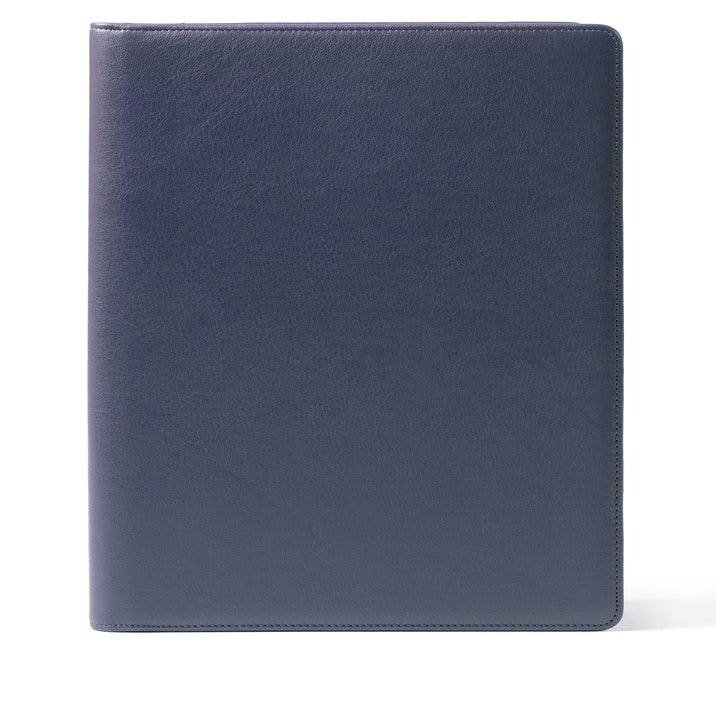 This leather Deluxe Binder is a refined way to store presentation notes or other important documents. Made to be as durable as it is beautiful, this leather 3 ring binder has 2 interior pockets to keep loose sheets and is also available for monogram personalization. I purchased this binder to make a recipe book of my favorite recipes of my mom’s. It is beautiful and flawless. The quality and craftsmanship is unmatched. It will last forever and is the perfect way to hold something so important to me. The binder is absolutely classy and practical - a perfect combination! This binder was worthy of the poetry it holds. I have ordered several products from Leatherology in the past four years. I am always impressed and grateful for the quality, beauty and even the amaIng packaging of the products. Leatherology has no rival. The timing, packaging/presentation of my order was amazing. I am very happy with my transaction and the presentation the binder came in. I will order again from Leatherology. monogrammed. I especially like the one-touch opening of the binder mechanism. Top-quality all around. I purchased two binders and liked them both. Great quality! The only issue with the binders is that they have a pocket on the inside front cover which “catches” the first sheet in the folder when you open and close the binder. The sheet gets caught in the pocket and ends up getting crumpled. A suggestion would be to extend the pocket like the inside back cover or eliminate the pocket all together. Very happy with the quality of the binder I ordered. It arrived quickly and beautifully packaged...a wonderful shopping experience. The pictures of this binder do not do it justice. It is a very quality product. I definitely would recommend this item. Arrived in a timely manner and very professional. This is a great binder, and I really like it. My only complaint is that it's slightly bulky. I was hoping it was just a bit more slimline. If that isn't a problem for you, it's easily a five-star rating--and in any case it's a great purchase for the price point.